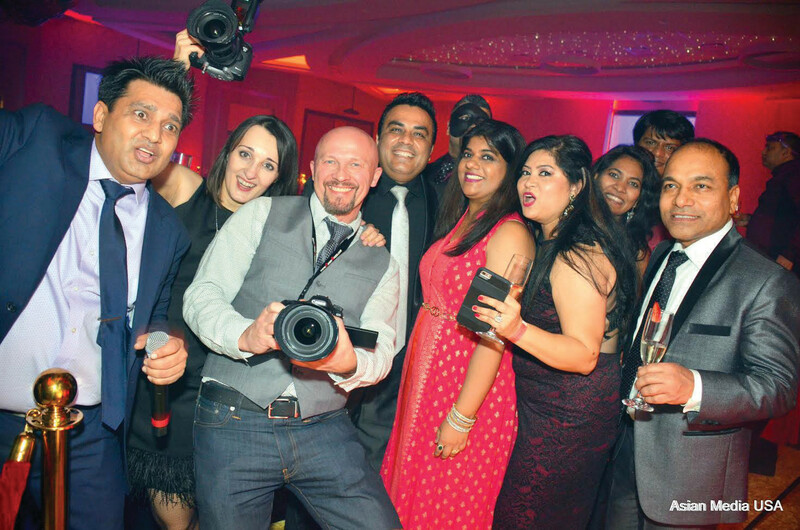 Ravi Rawat from India House and Jassi Parmar CEO/founder of DesiJunction Radio, with guests. A masquerade ball was the centerpiece of attraction of the New Year-eve celebrations at Pearl Banquets and Conference Dec. 31 with an eclectic display of music, singing and dance performances augmented by a lavish spread of food. A large turnout of party revelers joined the celebration with family and friends to welcome 2017 in the Grand Ballroom of Pearl Banquet, lasting into the wee hours of the New Year day. The show was conceptualized and anchored by Jassi Parmar of DesiJunction Radio along with his co-host Mohan Rawat. Maddy Singh’s amazing songs kept the audience thoroughly entertained. The banquet hall was charged up with the amazing intensity of folks waiting for singing and dance performances. There was quite a bit of variety in the program, keeping the crowd on their toes throughout the duration of the gala. Singing sensation, RJ Mandeep Saini, aka Maddy Singh made his live event debut in Chicago and he was supported by RJ Bhairavi through some melodious numbers ending in Punjabi hits. The two rocked the stage right from the word go. Singh started off with some very famous chart-busters like Ik kudi, Bulleya, Patiala Peg and 5 Tara etc. 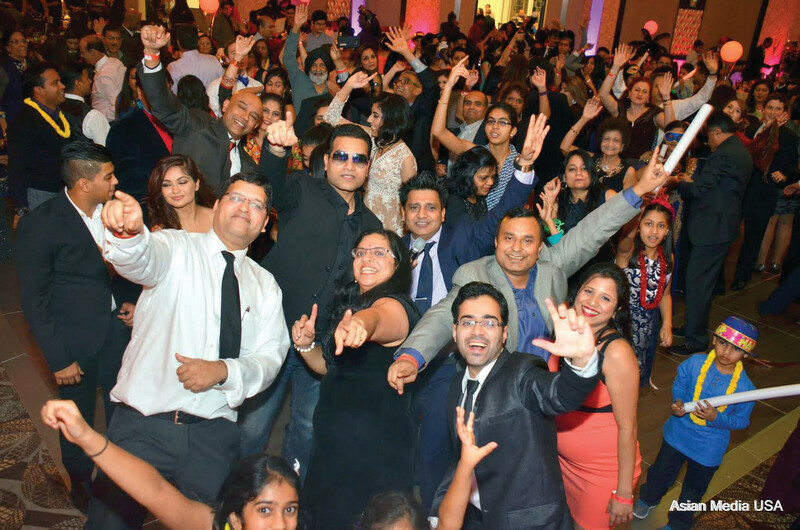 As the evening progressed, the atmosphere got electrified with nonstop thumping music from Safalya, Shweta and Deepali. Another excitement was belly dancer Safire’s performance. The event was presented by House, Bombay Chopsticks and Pearl Banquets along with Conference Center. There was a fashion parade as also a grand finale performance by Komal Kherde. The gala attracted audience from all over the Midwest.